In this first Q&A in the series, we speak with Stephen Rowe, the prospect research and briefing manager at the Australian National University, who has worked in prospect development for just over 10 years. He is currently the president of Apra Australia, and in 2014 he hosted the first "Prospect Research Forum," a gathering of prospect development professionals that continues annually. Rowe was the recipient of the 2018 Apra Margaret Fuhry Award, an award that was established in 1998 to honor Apra members for their leadership, mentorship, volunteerism and dedication to professional development. Apra's 2018 Margaret Fuhry Award granted Rowe a full Prospect Development conference scholarship, including registration, transportation and hotel accommodations. He certainly earned it, as you will discover in the following interview. What was your reaction to receiving the 2018 Apra Margaret Fuhry award? Frankly and firstly, quite a lot of satisfaction! The root of the award perhaps goes back to the first “proper” conference of prospect development professionals in Australia a few years ago, which eventually (and in my mind very logically) snowballed into the formation of Apra Australia. All of that has been a lot of effort outside of my day job, so the recognition is very nice to have. And while I am honored that I received the formal recognition of this award, I want to acknowledge that absolutely none of what has been accomplished in the last few years could have been done without a lot of help from my colleagues volunteering their own efforts to advance our profession and organisation. Many others who put work into assessing what organisation/s a hypothetical professional association could work with or under, conference organising, setting up discussion forums, and, of course, the work in the last year of the inaugural Chapter committee have all been crucial. Why are you passionate about this profession and giving back/helping to further its advancement? I feel that the reason why we do our work is the very real need to provide our organisations with confidence, focus and direction, and we can't do that if we aren't collaborating or learning amongst ourselves. Perhaps similar to other locales, professionals in Australia have worked in isolation from one another in the past, which is a barrier to their own development and, of course, then a barrier to the effectiveness of their organisations — all of which I find quite frustrating. I know we all have a lot of impact to make on the world, and I really hope the contributions from our community can help that happen! I feel that the reason why we do our work is the very real need to provide our organisations with confidence, focus and direction, and we can't do that if we aren't collaborating or learning amongst ourselves. What career milestones have led you to where you are today? Whom have you looked up to as a leader or mentor? It's all a bit of a blur, really. But perhaps to answer both questions at once, I think the move to the Australian National University to work under the then-head of Advancement Services, Craig Johnson, was significant. In addition to giving me the confidence to work in my first managerial role, Craig was also the one to first suggest that ANU could actually host a conference for those in our field, which in my mind was only something “big” organisations did. This was perhaps the first of many realisations that smaller organisations are just as capable as the big ones in many ways. We do not have the scale, but so often that is only one consideration among many when it comes to making an impact. The community is without reservation always so friendly and helpful, which is probably no surprise to anyone reading this. That description certainly applies closer to home in Australia, where the enthusiasm of this community in working together has been a real joy to see and work with. If you are curious and possess an inquiring mind, you will find there is a lot to learn, though you may never learn it all. I'm certainly not close! Ultimately, a lot of skill development or experience will come from collaboration with your manager, who may be juggling a lot of other work. But, the so-called “soft” responsibility of managing staff development is one that should not be forgotten, so don't be afraid to have those conversations about options for professional development once you're settled. In my experience, this is not often a sector with a clear career path (certainly not in Australia), but the work with technology, data, our fundraising partners and, of course, “good old research” on the face of it present a lot of interesting options that could take you anywhere! 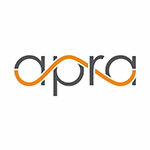 Unsurprisingly, I'll also say to make use of your local Apra chapter if you or your organisation isn't already. An effective chapter will provide additional opportunities professionally that you can't predict. Nominations for Apra's 2019 Awards program are now open! Learn all about the qualifications for the Apra Margaret Fuhry Award, Apra Scholarship, Apra Professional of the Year Award, Apra Distinguished Service Award here. Don't wait too long to submit your nominations: The deadline to submit is April 1! If you have questions about the Awards, please check out the list of Frequently Asked Questions.